➦In 1934...Walter Winchell, in his newspaper column, paid compliments to a local disc jockey in Washington DC. As a result, 30-year-old Arthur Godfrey began receiving offers from talent scouts and producers, and eventually was adored by millions across the country on CBS radio and TV. His trademark (strumming a ukulele and delivering down-home patter) endeared him to fans for the next 30 years. ➦In 1940...The musical quiz show "Beat the Band" began a 4½-year run on NBC Radio Network in two distinctly different series. The first, which aired until 1941, was hosted by Gary Moore and featured the Ted Weems Orchestra with vocalist Perry Como. The second version was hosted by Hildegarde, then Eddie Mayehoff, and the Harry Sosnik band supplied the music. ➦In 1956...Elvis Presley made his first appearance on national television on “The Dorsey Brothers Stage Show” on CBS. He sang “Blue Suede Shoes” and “Heartbreak Hotel”. After the appearance, sales of “Heartbreak Hotel” skyrocketed; however the national Elvis furor did not erupt until his subsequent appearances on the Milton Berle and Steve Allen TV shows. 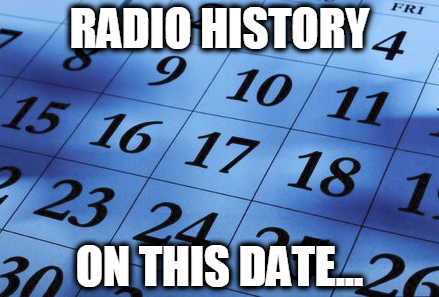 ➦In 1977...Actor (Cat Ballou, The Killers, The Thrill of It All, Mame, The Strongest Man in the World, Herbie Rides Again, The Shakiest Gun in the West, Speedway, Tiger by the Tail, The Reluctant Astronaut, The Great Bank Robbery)/onetime radio host (KDKA-Pittsburgh in 1921) Burt Mustin died at the age of 92. ➦In 1985...At the A&M studio in Los Angeles, the last recording session was held for the charity single "We Are The World" by the supergroup USA for Africa. Many of the participants, including Ray Charles, Billy Joel, Diana Ross, Cyndi Lauper, Bruce Springsteen and Smokey Robinson, came straight from an American Music Awards ceremony held that same night. Altogether more than 45 artists were involved in the project. The proceeds went first to starving residents of Ethiopia and eventually toward hunger prevention worldwide. ➦In 1986...the space shuttle Challenger exploded 73 seconds after liftoff, killing all seven crew members on board: flight commander Francis Scobee; pilot Michael Smith; Ronald McNair; Ellison Onizuka; Judith Resnik; Gregory Jarvis; and schoolteacher Christa McAuliffe, who was to have been the first civilian in space. The cause was found to be failure of a booster rocket seal due to the cold weather, causing a leak of fuel that was ignited. ➦In 2000…Saxophonist/bandleader Thomas "Beans" Bowles died of prostate cancer at the age of 73. He played on numerous Motown sessions including the Supremes' "Baby Love," Martha & The Vandellas' "Heat Wave" and Marvin Gaye's, "What's Going On." He also wrote the melody for Stevie Wonder's "Fingertips Pt. 2." 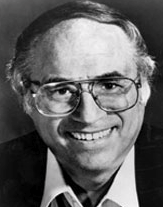 ➦In 2003...Stan Martin, a New York City radio personality, died at age 64. He worked at WQEW-FM and WNEW-AM, among other stations. He also hosted a nationally syndicated show, "Solid Gold Country". Martin joined the station in 1992 as program director when The Times changed the station's format from classical music and its name from WQXR-AM to WQEW. He eventually became the station manager. He left in 1998, when The Times leased the station to ABC, for Radio Disney. His radio career began in 1959 at WDLC in Port Jervis, N.Y. He then worked for several other stations, including WPIX-AM, WHN-AM and WFAN-AM in New York and WPEN-AM in Philadelphia. 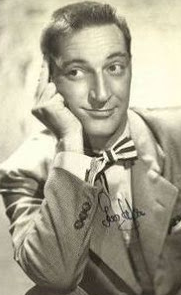 After leaving WQEW, Martin was master of ceremonies for cabaret shows in Manhattan and host of a website. ➦In 2015…Veteran radio personality (KRLA, KROQ and KTNQ-Los Angeles, KYA, KFOG and KISQ-San Francisco, KCBQ-San Diego, WJBK-Detroit, KOOL-Phoenix, WMYQ and WLVE-Miami, WKYC and WGCL-Cleveland, WSHO-New Orleans, WIST-Charlotte, KONO and KTSA-San Antonio, WLOF-Orlando, WPOP-Hartford, KKUA, KORL, KDUC and KPOI-Hawaii) Lee "Baby" Simms committed suicide while battling cancer at age 72. Music copyright owners have addressed the concerns that the National Association of Broadcasters (NAB) had over the Music Modernization Act and now has the powerful trade association and lobby group onboard to support the legislation as it faces review in both houses of Congress. According to a joint statement from the NAB, ASCAP and BMI, "the agreement resolves NAB's concerns with the potential introduction of new evidence into the rate-setting process while preserving ASCAP and BMI's ability to seek meaningful compensation from the growing digital marketplace. Our three organizations have enjoyed a long, unique and successful relationship, and as a result, we were able to work together to find a path forward on this important legislation that is fair to all parties." Billboard reports while the main thrust of the legislation is to create a blanket mechanical license and an agency to administer it, which hopefully would benefit music publishers, songwriters and digital services, other ingredients in the proposed legislation would adjust how rate court judges are chosen and the standards by which rates are set. While the digital streaming services didn't object to that repeal and were willing to allow master recording performance rates to be considered as one of the factors in determining rates for music publishing licensing, the NAB had a problem with it. Consequently, the repeal is now limited and will not affect terrestrial radio and simulcasts, sources say. 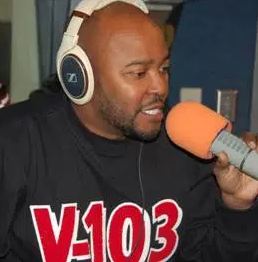 Longtime Atlanta radio personality Ryan Cameron surprised his listeners Friday morning with an unexpected announcement that he would be leaving his show on WVEE V-103 to join Atlanta branding firm Rakanter. "My tenure here at V-103 has been the most fulfilling thing that I could ever have but I have to feel there's something else that I can do," said the Georgia Radio Hall of Fame inductee. "I have done everything I can do in this field. I am telling Atlanta today that I am going to be moving on to something else." Cameron started his journey in radio in 1991 as an intern at V-103. He moved to overnights then weekends and took a hiatus from Atlanta to do radio in Washington, D.C. He was morning host at Hot 97.5 (now 107.9) from 1995 until 2003. He then returned to V-103 in 2004 to do afternoons until 2012 when former morning show host Frank Ski left. Cameron, 52, said he will periodically do radio ad endorsements and he plans to continue his work with the Atlanta Hawks as an announcer at Phillips Arena. "If I have inspired even a small percentage of people to better yourself than you were before from all my years of being on the radio then I've done my job," said Cameron. Cameron's last day will be Friday, February 2. His replacement has not yet been announced, according to CBS46. Cameron had an opportunity to stay at V-103, his agent Norm Schrutt told Rodney Ho at ajc.com. But Cameron saw the opportunities and potential for upside being a partner at the new branding strategy firm Rakanter and decided to jump ship from the only career he’s ever known. He’ll be able to share in equity and profits in a way he could never do as an employee at Entercom, which owns V-103. Beasley Media Group has announced the launch of WJBR as The New MIX 99.5 in Wilmington, Delaware. Playing “one great song after another,” the station’s new line-up will consist of the launch of Michael and Jessie In The Morning, featuring the return of Michael Waite with Jessie Micchelli weekday mornings from 5:30am-9:00am. “After seven years of being away from radio, I look forward to returning to entertaining our incredible listeners and working with Jessie,” said Michael Waite. “I’m beyond thrilled to have Michael Waite as a morning partner and to be spending each morning with the Delaware Valley,” said Jessie Micchelli. Program Director, Rich DeSisto will entertain listeners on the drive home from 3pm-7pm. “It’s an exciting time for the heritage of WJBR as we continue to build on and evolve that brand,” said Rich DeSisto. Nationally syndicated Delilah airs Sunday nights – Friday nights 7pm – 12midnight. 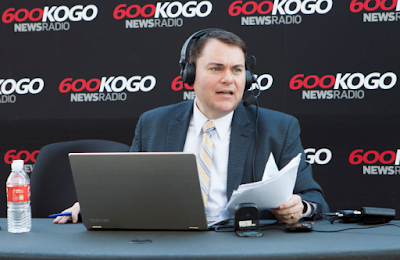 iHeartMedia San Diego announced Friday that it has renewed its agreement with Carl DeMaio to host The DeMaio Report for News Radio KOGO 600 AM. DeMaio will continue to broadcast weekdays 3 – 6 p.m. The DeMaio Report features DeMaio candidly discussing the latest in local and national political headlines, policies and reform. The show also features input and commentary from listeners, fueling political conversation and engagement in the larger San Diego community. Prior to broadcasting, DeMaio built a successful business and political career with a focus on holding government accountable, and offering creative solutions to public challenges. In 2008, he was elected to the San Diego City Council. When the city was facing an uncertain financial future, DeMaio’s Roadmap to Recovery reform plan was instrumental in fixing San Diego’s debt issues. In addition to hosting his daily news and talk show on News Radio 600 KOGO, DeMaio tackles state-wide, fiscal reform policy in his role as Chairman of Reform California and the Transitions in Governance Project at the Performance Institute. iHeartMedia Austin announced it has dropped Pride 97.5 FM for the debut of ALT 97.5, The New Alternative on K248CU/KASE-HD2. 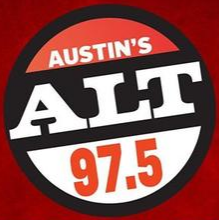 ALT 97.5 is launching with 5,000 songs commercial free, and broadcast music from a variety of Alternative artists, including The Foo Fighters, Imagine Dragons, Weezer, Muse and more. 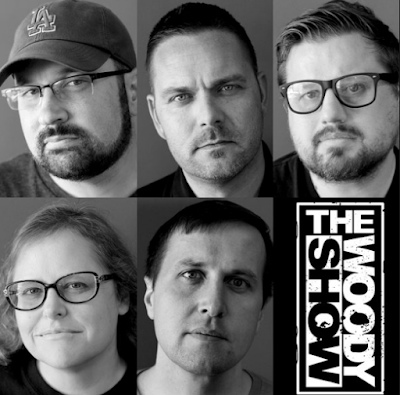 The station will also feature the “The Woody Show” on weekday and Saturday mornings. “The Woody Show” 6:00 – 10:00 a.m.
Wendy Rollins 10:00 a.m. – 3:00 p.m.
Klinger 3:00 p.m. – 7:00 p.m.
James Corden should bring a blessed frivolity to hosting the 60th Annual Grammy Awards. The star of CBS’ “Late Late Show” has the tricks, talent and temperament to offset any pretentious moments on the music industry’s biggest night. He makes his guests look good, and they know it. 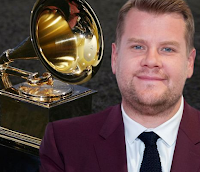 Corden will oversee the Grammy telecast, starting at 7:30 p.m. Sunday on CBS, from Madison Square Garden in New York. According to Hal Boedeker at The Orlando Sentinel, his main challenge is guiding the sprawling evening to its conclusion. Golden Globes host Seth Meyers had to deliver sharp commentary, a tricky assignment he aced. Oscar host Jimmy Kimmel must pull off both tasks. 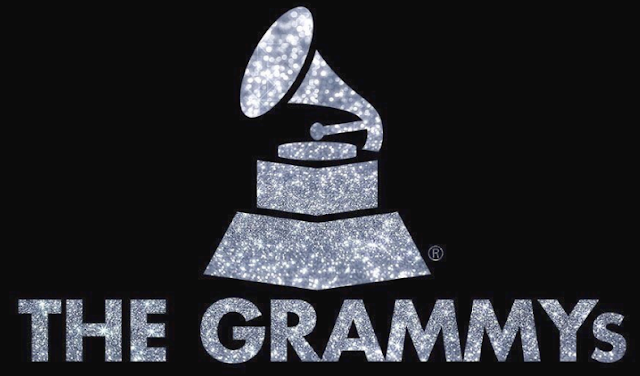 This year’s Grammy nominees signal a real shift in the industry, with a new appreciation for rap and R&B. Jay-Z leads with eight nominations. Kendrick Lamar has seven, and Bruno Mars collected six. SZA is the most nominated woman with five. Khalid and Childish Gambino (Donald Glover) scored five apiece. All except Jay-Z are set to perform. The lineup also includes Sting, Lady Gaga, U2, Sam Smith, Alessia Cara, Cardi B, Kesha, Little Big Town, Logic and P!nk. There will be collaborations: Emmylou Harris with Chris Stapleton; Elton John with Miley Cyrus; Zuleyka Rivera with Luis Fonsi and Daddy Yankee. Brothers Osborne, Eric Church and Maren Morris will honor victims of attacks at music events. The live telecast will have also feature a ton of Hollywood star power through the show’s presenters. The list includes some of our favorite Hollywood stars like Katie Holmes, Shemar Moore, and Anna Kendrick. Comedians Trevor Noah, Sarah Silverman, Dave Chappelle, and Jim Gaffigan, will also present along with NFL player Victor Cruz. The legendary Tony Bennett will take to the stage to present an award. Plus, New Kids On The Block fans will rejoice as Donnie Wahlberg will take to the stage as well. 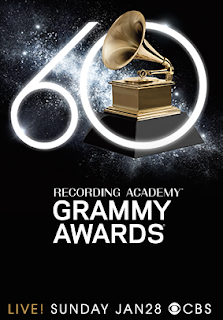 Other musicians set to hand out trophies during the show include: Kelly Clarkson, Eve, Nick Jonas, Alicia Keys, John Legend, and Hailee Steinfeld. The 2018 GRAMMY Awards will broadcast live from New York City’s Madison Square Garden at 7:30 PM ET on CBS Sunday. Entercom has announced the appointment of Brian Rooney as Vice President, Director of Sales for Entercom New York. 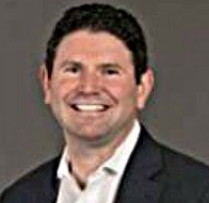 “Brian’s strong leadership and great track record in New York made him the perfect choice to lead our Entercom New York team,” added John Fullam, Senior Vice President and Market Manager, Entercom New York. 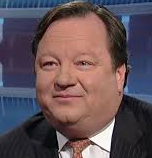 Rooney most recently served as Vice President of Sales for Q104.3, WOR and the New York Mets Radio Network from 2015-2017. Prior to that he was Sales Manager for WFAN in New York from 2007-2015. Country music fans will instantly recognize the voice of the first woman to play KFC's Colonel Sanders, but for others, it could take several seconds before figuring out who's in the sparkly white suit. 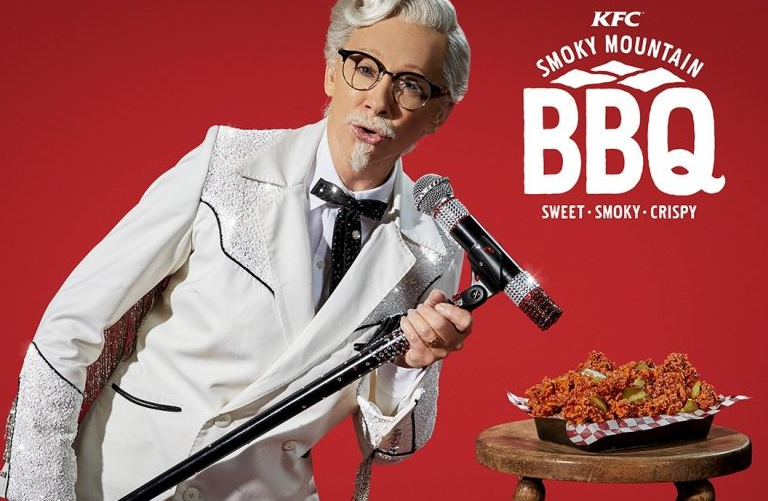 "I'm Colonel Sanders," Reba McEntire, disguised as the man himself, belts out in the opening seconds of the chain's latest spot. "Same as always, absolutely nothing's changed." According to AdAge, McEntire the colonel is on stage at a honky-tonk bar, and when she starts singing, the audience goes nuts. She tosses her white cowboy hat out into the revelers, revealing a quick cut of the "real" McEntire, who catches the hat on her head. Wearing a wig, facial hair, glasses and a fringed, sparkly white suit, McEntire dons a look similar to that of the nine male celebrities who have starred in the ever-changing Colonel role. She's the first woman, and the first music superstar, to play the part, which originated with Darrell Hammond in May 2015. "I grew up with Kentucky Fried Chicken," McEntire said in a KFC statement. "It's part of my story, and I'm so excited to now be part of theirs. I've held a lot of roles in my life—sort of like the Colonel himself— but this is certainly the most unique one yet." The colonel who came just before McEntire was unknown actor Christopher Boyer, a non-celebrity chosen to be the value colonel. The others, in order of appearance, have been Hammond, Norm Macdonald, Jim Gaffigan, George Hamilton, Rob Riggle, Kartheiser, Zane, Rob Lowe and Liotta. KFC isn't the only brand McEntire works with. Her other projects include a "REBA by Justin" footwear line, Reba apparel at Dillard's and a line of cosmetics. A doctor accused of ordering murder of his wife, a WOND-AM talk personality, has apparently taken his own life in jail. 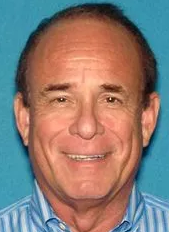 Dr. James Kauffman, 68, of Linwood, N.J., was found dead Friday morning in his cell at Hudson County jail, according to the Atlantic County Prosecutor's Office. According to USAToday, Kauffman was being held at the northern New Jersey facility "as a result of credible threats to his life" when he was originally housed in the Atlantic County Jail, the prosecutor's office said. Officials said an investigation is continuing and declined further comment. Kauffman and Ferdinand Augello, described as a leader of the Cape May County chapter of the Pagans motorcycle gang, were charged earlier this month with the May 2012 murder-for-hire of the doctor's wife, radio host April Kauffman, 47. The men also were accused of operating a drug ring supplied with prescription painkillers from Kauffman's medical office in Egg Harbor Township, N.J. In addition, Augello, 61, was charged with conspiring to murder James Kauffman. The men had distributed prescription painkillers since 2011, the prosecutor's office alleged. It said the partnership ended in June when investigators arrested James Kauffman on weapons charges after raiding his home and office. Six other people also face charges in connection with the alleged drug sales. The prosecutor's office alleged James Kauffman wanted his wife dead to avoid a costly divorce and to prevent her from exposing his drug activities. ➦In 1927...With the creation of the "United Independent Broadcasters" network in Chicago by New York talent-agent Arthur Judson. The fledgling network soon needed additional investors though, and the Columbia Phonograph Company, manufacturers of Columbia Records, rescued it in April 1927; as a result, the network was renamed "Columbia Phonographic Broadcasting System". Columbia Phonographic went on the air on September 18, 1927, with a presentation by the Howard Barlow Orchestra from flagship station WOR in Newark, New Jersey, and fifteen affiliates. Operational costs were steep, particularly the payments to AT&T for use of its land lines, and by the end of 1927, Columbia Phonograph wanted out. 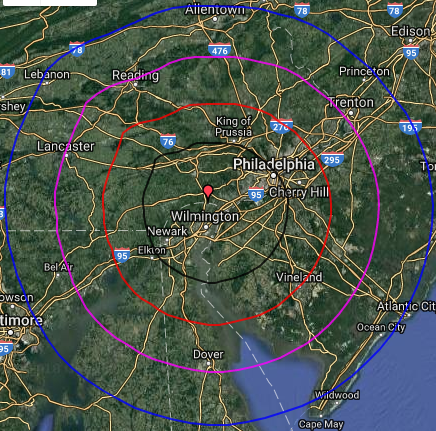 In early 1928, Judson sold the network to brothers Isaac and Leon Levy, owners of the network's Philadelphia affiliate WCAU, and their partner Jerome Louchenheim. 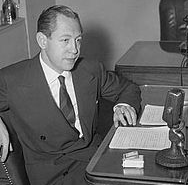 None of the three was interested in assuming day-to-day management of the network, so they installed wealthy 26-year-old William S. Paley, son of a Philadelphia cigar family and in-law of the Levys, as president. With the record company out of the picture, Paley quickly streamlined the corporate name to "Columbia Broadcasting System". He believed in the power of radio advertising since his family's "La Palina" cigars had doubled their sales after young William convinced his elders to advertise on radio. By September 1928, Paley bought out the Louchenheim share of CBS and became its majority owner with 51% of the business. ➦In 1931...The NBC Radio Network first broadcast "Clara, Lu ’n’ Em" on its Blue network. ➥In 1948...the Wire Recording Corporation of America introduced the magnetic tape recorder, the first audio recording system that didn’t involve acetate disks or wire. The “Wireway” machine, complete with a built-in oscillator, sold for $149.50. 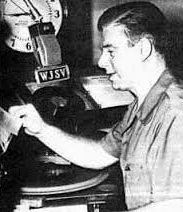 ➥In 1957...The "CBS Radio Workshop" debuted. This first broadcast featured Aldous Huxley narrating his classic, “Brave New World”. ➦In 2003...WNEW 102.7 FM dropped talk format in favor of music. The station tunted for the next couple of months with Contemporary hit radio music, using a limited playlist of approximately 50 songs from artists like Pink, Eminem, Bowling for Soup, and Avril Lavigne, as well as nightly simulcasts of CBS's Late Show with David Letterman. 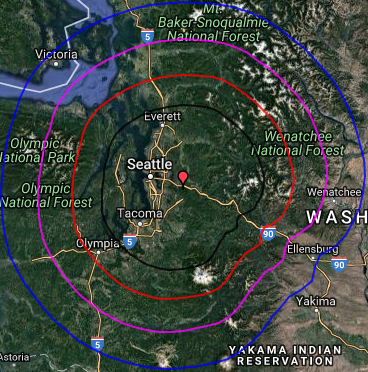 Sounders during that period teased listeners about how "a new station" would soon be coming to the 102.7 frequency, and it arrived in April, when WNEW became "102.7 Blink" (keeping the WNEW call letters) and adopted an unusual "Entertainment AC" format. The station mixed old and contemporary pop hits with talk shows and entertainment news from sources such as E! ; on-air personalities during this period included the morning team of Chris Booker and Lynda Lopez (who were also dating during this time), game show host Todd Newton and afternoons with Tim Virgin and now-MSNBC Anchor Alison Stewart. Other personalities included, Rick Stacy (now with WOCL Orlando), Maze, and reporters Matt Wolfe and Lisa Chase, who provided hourly entertainment updates. The station also used AOL Instant Messenger to take requests, and 24 star Kiefer Sutherland did the station IDs ("It is physically impossible not to Blink", etc.). However, the station's ratings sank further. The station's pink logo led to the derisive nickname "Barbie Radio", and Booker & Lopez did little more on the air than talk about Jennifer Lopez, Lynda's older sister. After less than six months, the station fired most of the staff and changed its branding to "102.7 Blink FM: Music Women Love" with an (again, unusual) explicit appeal to a female audience. This format also failed to draw audiences. By October, it adopted a more mainstream adult contemporary format and ratings began to go up slightly. 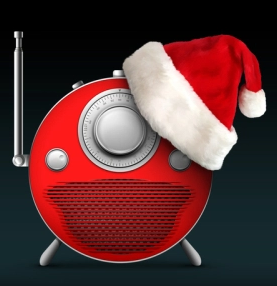 That November, the station (like many AC stations) adopted the increasingly popular "all Christmas music, all the time" format, dropping the "Blink" format after less than 11 months for the name "New York's New 102.7 FM". 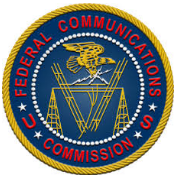 In 2004...The Federal Communications Commission fined Clear Channel Radio for apparently airing indecent material over several broadcast stations during several days. The Commission proposed the highest fine the law provides resulting in a $27,500 for each of 26 apparent indecency violations for a total of $715,000. In 2013…Philadelphia television pioneer/radio disc jockey/recording artist (the album Our Gal Sal, on which she was backed by Bill Haley & His Comets)/actress (The Outlaws Is Coming, The In Crowd, Holiday Journey, Mannequin on the Move) Sally Starr, who, in her blonde cowgirl persona, hosted children's TV shows on WFIL-TV (which became WPVI-TV in 1968) from the 1950s until the early 1970s, died at the age of 90. 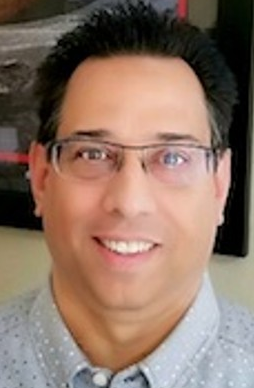 Entercom announced today the appointment of Vince Richards as Operations Manager in Sacramento. Richards will oversee programming duties for the cluster’s six stations: Rock KRXQ 98.5 FM, Alternative KKDO 94.7 FM, CHR KUDL 106.5 FM, Classic Rock KSEG 96.9 FM, Rhythmic-CHR KSFM 102.5 FM and Sports KIFM 1230 AM. Richards takes over programming duties from Jim Fox, who was recently named Vice President of Music Programming at Entercom Dallas. 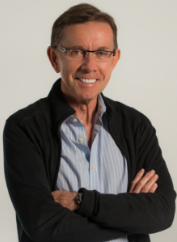 Richards has held Operations Manager positions at Entercom Kansas City, as well as at iHeart Media in both Houston and Dallas. He was most recently National Operations Manager at Townsquare Media. 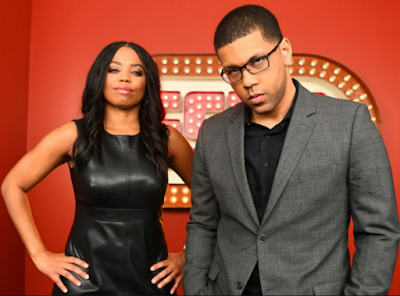 Jemele Hill, the “SportsCenter” anchor who drew extra scrutiny to ESPN after making pointed remarks about President Donald Trump, will leave the program and focus on assignments in other parts of the Walt Disney-owned company, according to people familiar with the situation. Variety reports these people characterized the move as one requested by Hill. Michael Smith, her co-anchor in the 6 p.m. hour of “SportsCenter,” is expected to continue to anchor the hour on his own, according to one of these people. Hill’s last day on the program is expected to take place next week, just a few days before Super Bowl LII takes place. She is expected to, among other things, join ESPN’s “The Undefeated,” an ESPN digital-news outlet that analyzes sports, race and culture. The pair launched their new edition of “SportsCenter,” known as “SC6,” in February of last year. In September, Hill sparked controversy by posting a tweet that referred to President Trump as a “white supremacist.” The White House called for her to be fired. At the time, ESPN said her views did not represent those of the network. After Hill subsequently tweeted a suggestion that her followers boycott the Dallas Cowboys because of his stance relating to his players and protests during the playing of the national anthem, ESPN suspended her for two weeks. 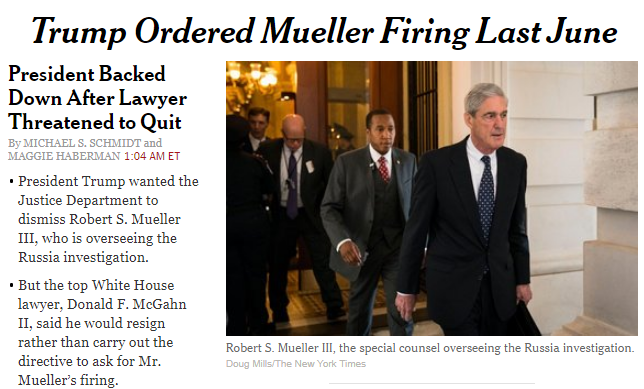 President Donald Trump on Friday dismissed as “fake news” a New York Times report that he ordered the firing of special counsel Robert Mueller last June, but backed down after White House lawyer Don McGahn threatened to resign. The newspaper reported Thursday that Trump demanded Mueller’s firing just weeks after the special counsel was first appointed by Deputy Attorney General Rod Rosenstein. The NYPost reports the report comes as Mueller moves ever closer to interviewing Trump himself. The president said Wednesday that he would gladly testify under oath — although a White House official quickly said afterward that Trump did not mean he was volunteering to testify. 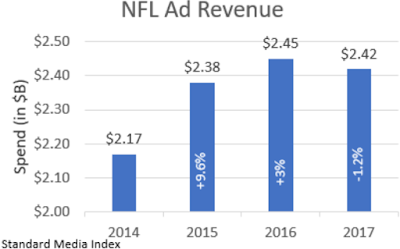 Advertising revenue from in-game NFL programming declined 1.2% to $2.42 billion during the 2017 regular season, according to Standard Media Index, as the league feels the impact of declining viewership. SMI’s figures include NFL advertising across NBC, CBS, FOX and ESPN, from Sept. 7 to Dec. 31, The Wall Street Journal reports. The price of 30-second spots increased 1.2% from $499,000 to $505,000, according to SMI. At the same time, the delivery of “make goods” grew from 21% to 23% of the units due to lower ratings. Media companies typically give advertisers make goods, or extra commercial space, when they don’t hit their agreed-upon audience or ratings targets. 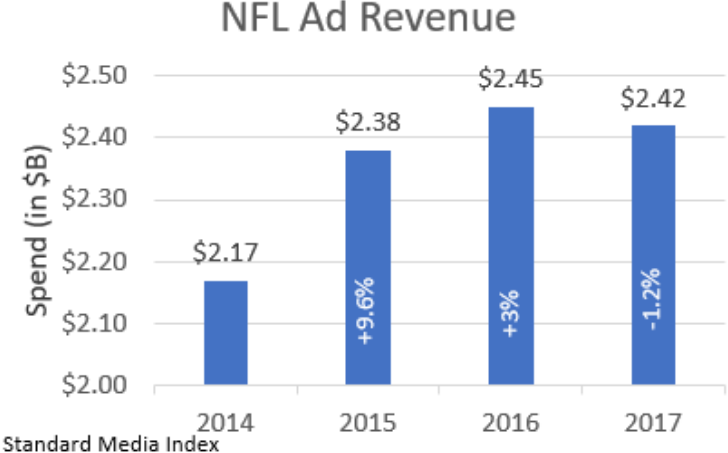 According to SMI, NFL ad revenue was up 9.6% in 2015, and 3% in 2016. Viewership of NFL games was down 9.7% compared with the 2016 regular season, according to Nielsen. Industry insiders have chalked up the ratings woes to a range of possible factors, from off-the-field controversies and backlash to players’ protests during the national anthem to there being too much football on TV. Many believe cord-cutting has led to a structural and long-term downshift in viewing. From award shows to soda commercials, politics is increasingly seeping into most facets of American culture. As a result, brands that were once dutifully neutral have taken bold stands, and others have been involuntarily dragged into controversy. 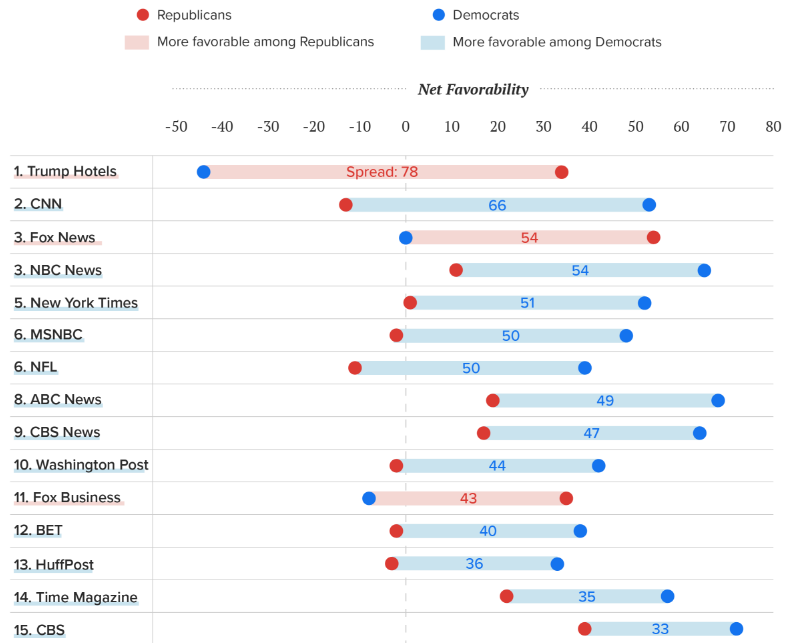 Morning Consult used a wealth of consumer tracking data – 336,370 survey interviews in the last three months – to determine which brands are the most politically divisive. According to Nielsen, the AC format received an average 72% ratings lift during the holiday months over the last five years, while soft AC was up 40%. During that same time frame it was country-formatted stations that typically took the biggest hit, losing an average of 14% of listening, followed by regional Mexican (minus 11%). Looking at the 2017 Holiday ratings period in the Top 20 markets, InsideRadio sees the trend continuing, while also seeing some deterioration of numbers for CHR and modern rock stations due to competitors in the market going all-Christmas. There was no good tidings and cheer for the country format which lost share in 15 of the markets we examined. In Baltimore, iHeartMedia country WPOC (93.1) saw the largest single station decrease, falling 2.6 share from November through the Nielsen Holiday 2017 ratings period. 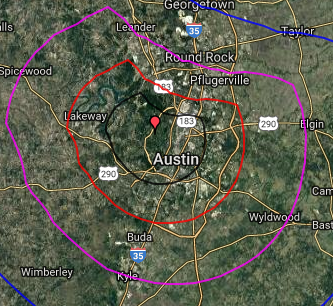 Dallas-Ft. Worth, where Cumulus Media owns two country stations – KPLX and KSCS – weathered a 1.8 decrease in format share for the market. Country stations in Detroit, Minneapolis, San Diego, St. Louis and Tampa all shed a share or more. Click Here to view topline number for subscribing Nielsen stations. E.W. Scripps Co. is streamlining its operations in a move that has already caused the reduction of dozens of jobs and will lead to many more job cuts across the company. Downtown Cincinnati-based TV, radio and digital media operator Scripps said it will cut jobs, sell its 34 radio stations and restructure some operations in moves that it expects to save it more than $30 million a year. According to the Cincinnati Business Courier, Scripps plans to use some of the proceeds, particularly from the sale of the radio stations, to acquire TV stations. In an interview, CEO Adam Syms last month said Scripps plans to add TV stations to its portfolio of 33 stations. It’ll also invest some of the cost savings in expanding its national digital media businesses, such as news operation Newsy and podcast company Midroll. Scripps has about 400 employees in its radio business. It took restructuring charges of $2.4 million in the third quarter and $2 million in the fourth quarter because of those cuts. Scripps expects to generate the $30 million in yearly cost savings through job cuts and reduced operating expenses over the next 12 to 18 months. It plans to save costs by centralizing some services and technology, sharing resources and eliminating redundant positions and services. Scripps opted to sell its radio stations because they’re not part of Scripps’ core operations, Micheli said. It’s also difficult to operate such a small group of stations efficiently. Larger groups with hundreds of stations achieve economies of scale by consolidating sales and content. And the radio business has been disrupted by Pandora and other online music services. Scripps acquired the 34 radio stations in the 2015 merger it completed with Milwaukee-based Journal Communications. That deal resulted in Scripps swapping its newspaper operation for Journal’s TV and radio stations. 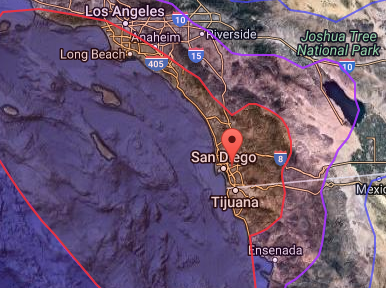 Before that deal, Scripps hadn’t owned radio stations since the early 1990s. Viacom Inc Chief Executive Bob Bakish and CBS Corp CEO Leslie Moonves have had an exploratory discussion about merging the two media companies, sources familiar with the situation told Reuters on Thursday. The discussion is a potential first step toward a recombination of CBS and Viacom. The boards of both companies have regularly scheduled meetings in the next several weeks and are expected to discuss the potential merger, the sources said. The discussion between Bakish and Moonves, which took place earlier this month, was preliminary and no decisions have been made, but it signals that Moonves, who has had reservations about a potential deal between the companies, could be more open to the idea. CBS and Viacom explored and decided against a merger in 2016, at the urging of its controlling shareholders, ailing 94 year-old media mogul Sumner Redstone and his daughter Shari Redstone. 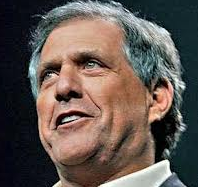 Those merger talks failed due to concerns by CBS’ directors and Moonves over the financial sense for CBS shareholders and governance issues. A combined company with CBS, which owns cable networks including Showtime as well as the CBS TV Network and CBS TV Studios, and Viacom, whose businesses include Paramount Pictures, Comedy Central, Nickelodeon and MTV, would have more negotiating leverage with cable and satellite companies. “Scale matters now and is going to continue to matter in the future,” Shari Redstone told an audience at a luncheon at the Paley Center for Media in New York City last fall when asked about a potential CBS merger. CBS and Viacom combined would have a market value of more than $37 billion. Hubbard Radio/Seattle has announced the appointment of Lisa Adams as the new Program Director of Country KVRQ 98.9 FM. 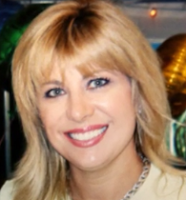 Lisa was most recently the Marketing Director of sister station KODX WARM 106.9. She was previously O.M. /P.D. of KCIX (Hot AC), KXLT (AC) and KAWO (Country) in Boise Idaho for Townsquare Media. Earlier in her career Lisa worked for Sandusky Radio where she launched MOViN 92.5, now owned by Hubbard Radio. Country Radio Specialists Mike O’Malley and Becky Brenner announce the addition of industry leaders Joe Galante and Steve Buchanan to their 24th annual Pre-CRS seminar; taking place on Monday, February 5, 2018 at the Music City Center, Downtown Nashville, from 10:00 am-1:30 pm. Joe Galante spent 39 years in key positions at the RCA Label Group Nashville (Sony Music Group); leading as its President from 1982 to 2010. He is currently serving on the publicly traded Pinnacle Financial Partners. He also serves on the CMA Board of Directors and is the Chairman of the CMA foundation, Entrepreneur center, Blue chair bay spirits, DART metadata LLC and Abe's garden, an Alzheimer care and learning center. He is consultant to BMG music and Higham Morris entertainment, Kenny Chesney Management Company. Galante will share the latest news from the CMA Foundation; its work around the country, and the opportunities for Country Radio to participate. Plus, he will share his observations on the "State of Country", and of course, stories from the road - those events that shaped his career in this business. 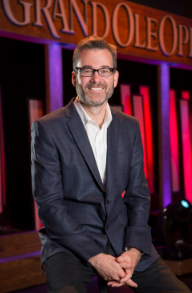 Steve Buchanan is the President of the Opry Entertainment Group, a division of Ryman Hospitality Properties. The Nashville-based entertainment group is comprised of the iconic Grand Ole Opry, the Ryman Auditorium, one of the nation’s most awarded performance venues, legendary WSM-AM radio station and Gaylord Program Services, Inc. He also serves as an Executive Producer of ABC’s prime-time scripted drama series “Nashville”, as well as a Producer of the upcoming “Moonshine: That Hee Haw Musical”. Branding and brand evolution are critical to the success of the radio industry, and Buchanan is a master at both. Attendees will learn how The Ryman came back to life, what he and his team did to rejuvenate The Opry, and how he used the halo effect of the Nashville brand to create successful brand extensions. Plus, the A&O&B team will present the first highlights from their 13th annual online perceptual study, “Roadmap 2018”, including Country P1 trends in music tastes, digital consumption, social networking and more. Data from thousands of P1’s from across the U.S and Canada will be included. The A&O&B Pre-CRS Seminar is free, and is open to all clients, as well as to broadcasters in non-competitive situations. You can RSVP to Mike O'Malley - mike@aandoandb.com or Becky Brenner becky@aandoandb.com. Spanish Broadcasting System, the owner of the Mega TV operation and a host of Spanish-language radio stations across the U.S., wants FCC approval to exceed the foreign ownership benchmark. Through attorney Meredith Senter of D.C. communications practice Lerman Senter PLLC, a Petition for Declaratory Ruling was filed on behalf of SBS on Dec. 4, 2017. RBR reports Media Bureau Chief Michelle Carey has now spoken. SBS needs to say more for her to issue a decision. So do dissident shareholders, who may include foreign owners SBS had been unaware of until being sued by them. 310(b)(4) of the Communications Act of 1934. Specifically, SBS claims that it learned that it could be out of compliance with the Commission’s foreign ownership rules after it was served with a lawsuit filed in the Delaware Chancery Court by certain holders of its Series B Cumulative Exchangeable Redeemable Preferred Stock — dissident shareholders. SBS on Dec. 4 files a remedial PDR, seeking permission to exceed foreign ownership limits. Specifically, it wanted the Media Bureau to find that its remedial action suspending the rights of the Series B Shareholders and exchanging their shares for Foreign Share Certificates had brought it into compliance with the Act. On Dec. 29, 2017, the Commission received a letter filed on behalf of the dissident shareholders asserting their right and intent to participate in this proceeding; SBS asserts that prior to being sued, it did not know the identity of the dissident shareholders. “The PDR does not provide enough information for us to proceed with a comprehensive review or to address SBS’s prayer for relief,” Carey said. The infamous “button-pusher” who sent out a false missile alert that caused chaos across the Hawaiian Islands earlier this month is now refusing to work with federal and internal investigators, a top Federal Communications Commission official said Thursday. The unidentified Hawaii Emergency Management Agency official has backed off working with the Federal Communications Commission (FCC) -- and also has refused to work with two internal Hawaii Emergency Management Agency (HI-EMA) investigations, The Star Advertiser reported. “We hope that person will reconsider,” Fowlkes added. On January 13, a civil defense employee at HI-EMA accidently sent out an alert that notified more than a million people in Hawaii that they were about to be struck by a nuclear missile. Some 38 minutes passed before HI-EMA officials sent an alert to people's phones confirming the false alarm. That employee has since been temporarily reassigned within the agency as the investigation continues. The National Association of Broadcasters (NAB) announced Thursday that local radio and television stations and their broadcast network partners have donated more than $32 million in airtime for public service announcements (PSAs) focused on opioid abuse awareness and prevention. This includes 253,783 TV and radio airings between September 2016 and December 2017. The PSAs are part of a campaign launched by NAB and the Partnership for Drug-Free Kids. NAB teamed with the Partnership for Drug-Free Kids (Partnership), a national nonprofit organization committed to helping families struggling with their son or daughter’s substance use, on a multi-faceted campaign to raise awareness about the rising opioid epidemic. PSAs included Partnership-produced messages directing viewers and listeners to life-saving information as well as PSAs produced in conjunction with NAB’s bi-annual Congressional PSA Campaign. Prior to the launch of the campaign, CBS TV Network, ABC-owned TV stations and iHeartMedia had already carried more than $15 million in Partnership PSAs. But now, it appears one of the most common names is unknown to Google Home, according to Fox17 Nashville. 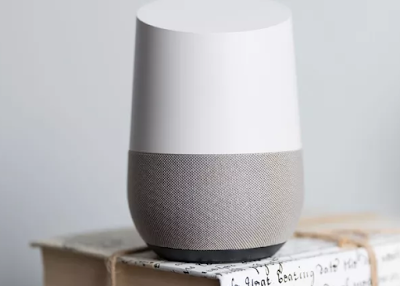 Naashcville-area resident David Sams owns a Google Home and an Amazon audio speaker. He says both give two different answers when asking "Who is Jesus Christ?" And there's plenty of information on the prophet Muhammed, Buddha -- even Satan.